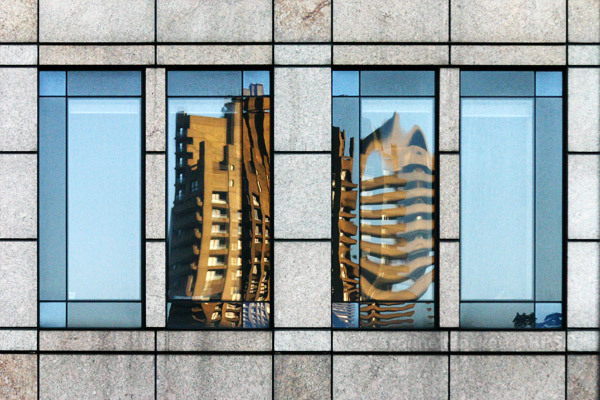 Notes: Out on an evening photowalk around London Wall, the reflection of the Barbican towers in the windows of an office block caught my eye. I love all the distortion – and the colour contrast between the two buildings. 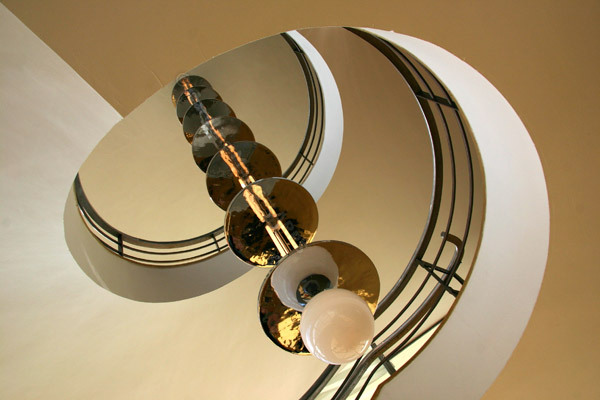 Notes: One of my favourite shots from the Da La Warr Pavilion in Bexhill, a masterpiece of Art Deco architecture. The spiral staircase is fascinating. Notes: A bright red coloured poster advertising the latest exhibition hung above the entrance to the Guggenheim museum. 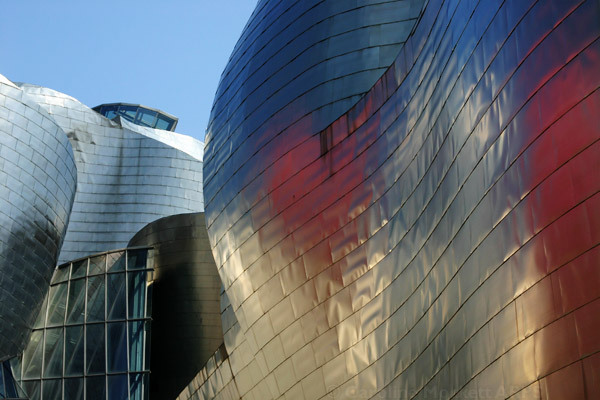 The deep blue sky and colours from the poster were refelected in the titanium skin of the building.